Srinivasan L, post graduate in Finance and systems from SRM – successfully transitioned to be a business analyst. He got career break to be part of Lending system implementation team as Business Analyst with InFI’s mentoring for the role. InFI mentoring program helped Srinivasan and his team to become productive professionals to be part of 3I’s KASTLE implementation team with four months of intensive role specific skills development program. InFI was just planning to create a team of entry level ERP and Business Analyst professionals for it’s multinational customers who have their own products. Srinivasan responded to InFI’s invite to join the team in Aug 2011 and took opportunity to get ready for the role available with 3I . InFI’s ambitious youngsters from different backgrounds were mentored on basic ERP functionality and the role of a Business Analyst in general. The primary focus for the program was Lending Business part of Banking domain. All the team members were given retail banking domain knowledge to understand various sub domains of Banking. Enterprise Systems like RODE, Orion, SAP and KASTLE Lending system were introduced to the team to understand the enterprise systems catering to various business domains. 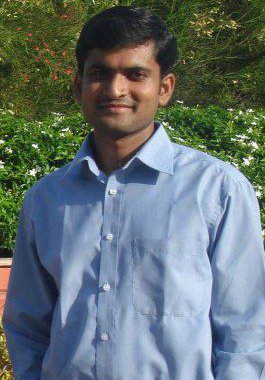 Srinivasan was picked-up by 3I to support KASTLE implementation as a business analyst. His work is appreciated by the product and business heads of 3I, for his thoroughness in product and the domain knowledge of lending. He has successfully completed 30 months of employment at 3I as Business Analyst . InFI wishes him great career as Business Analyst. He may be contacted at srinivasan.then@gmail.com for career guidance.